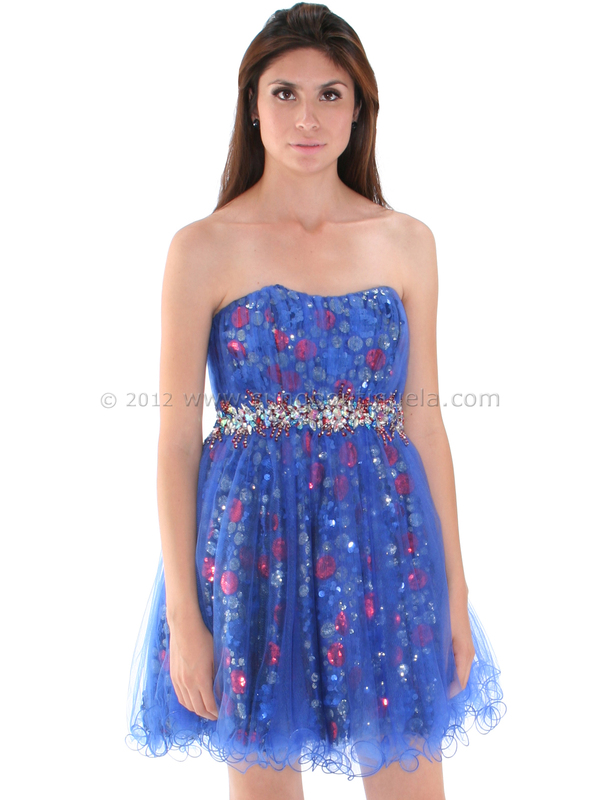 Strapless Net Overlay Sequin Homecoming Dress | Sung Boutique L.A. 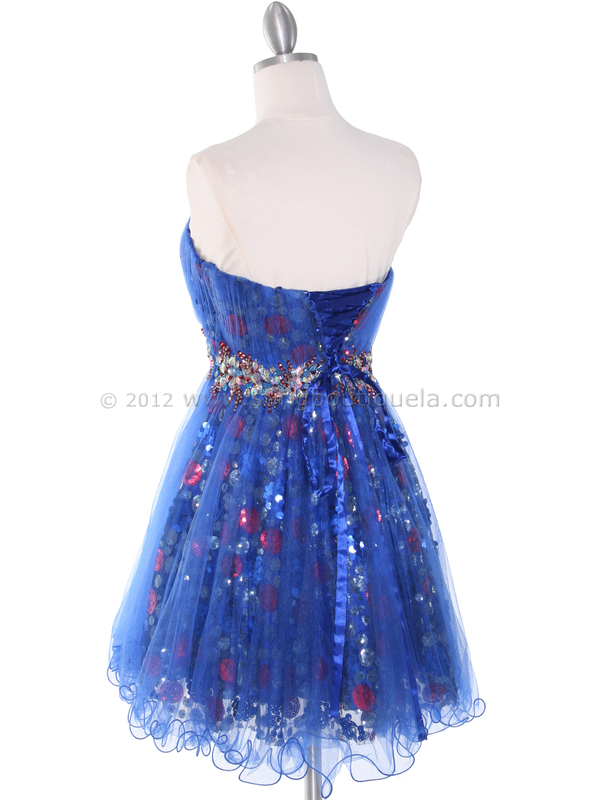 This lovely cocktail dress features a sequin netting overlay. A pleated bodice with jewel embellishments on the waist. The look is complete with a layered wire-edged skirt. -Approx. 28 inches from underarm to hem.